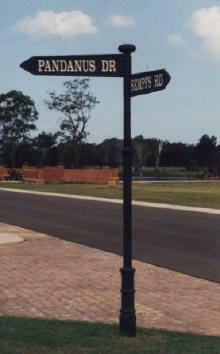 The OLDS Street Sign assembly has been developed to give that touch of distinction to the street scene. 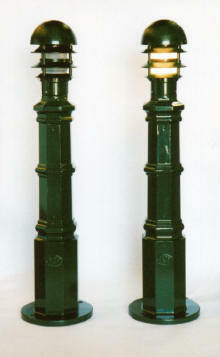 They are manufactured in quality materials and usually finished in Hawthorn Green powdercoat. 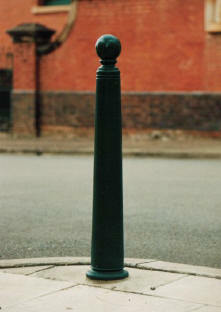 The Handsome column is sometimes used as a "lamp post" for which purpose we have a variety of combinations. 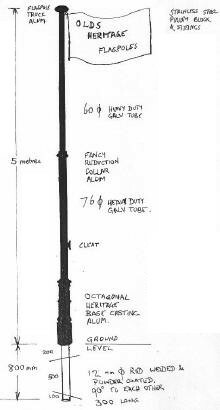 Pole Height above ground: 4.7 metres to light attachment. 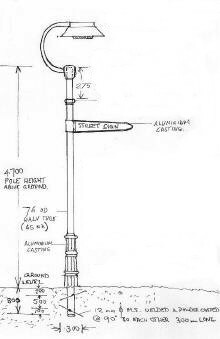 Lights available from Sylvania (07) 3844 3301.